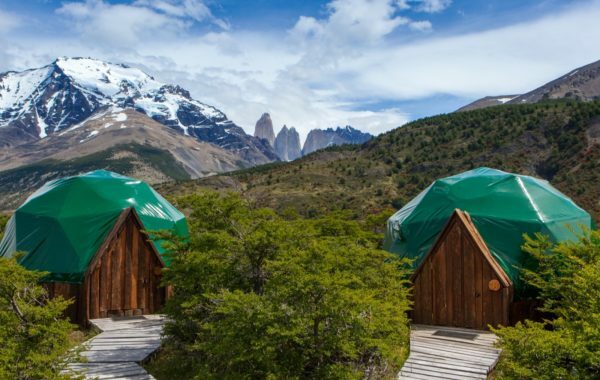 EcoCamp is situated in the very heart of Torres del Paine National Park and provides the region’s first fully sustainable accommodation, complete with green technology. Enjoy guided treks and wildlife excursions by day and share evening meals with new friends, before falling asleep gazing up at the star-filled sky through a dome ceiling. 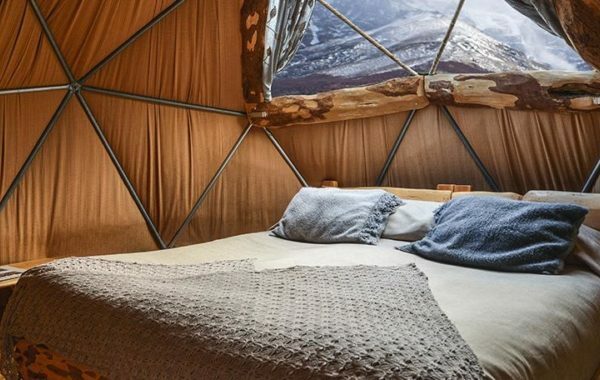 Wake up in the middle of the Patagonian wilderness in a cosy geodesic dome, with a panoramic view of the majestic Torres del Paine, ready to pick up the hiking trail! Your driver will meet you (at either Calafate, Punta Arenas or Puerto Natales) for the drive into Torres del Paine National Park before finally reaching the unique EcoCamp Patagonia, which will be your home for the next five days. Settling into your personal dome you'll make yourself at home in this unique place, explore the spectacular scenery and get to know some of your fellow guests. 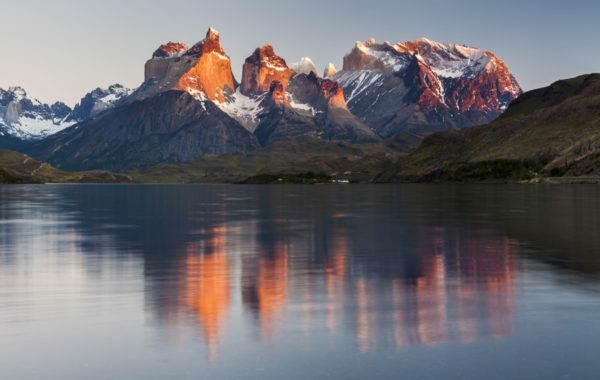 That evening you'll enjoy your first evening meal and an introduction to the camp, the various activities on offer and learn more about Torres del Paine National Park. EcoCamp Patagonia, voted one of the world's best hotels, is the perfect way to experience Torres del Paine National Park. The unique dome design provides protection from the elements, with cozy beds and skylights to look up at the stars as you fall asleep. 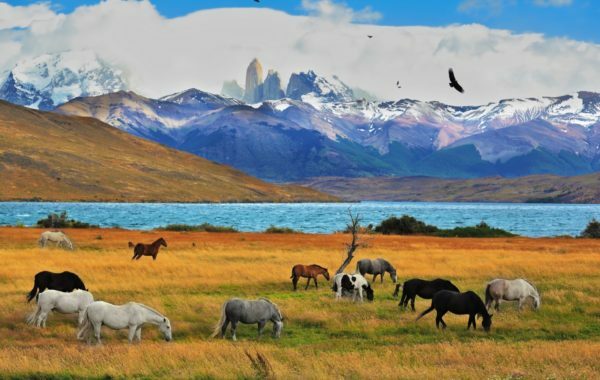 You'll spend the next three days exploring the magnificent Torres del Paine National Park on a series of activities and nature excursions lead by the professional guides at EcoCamp. Choose from a programme of activities ranging from gentle hikes, a lake cruise and nature spotting, to more active adventures such as mountain biking, hiking to the base of the park's famous towers or the trek to Grey Glacier. Along the way your guide will help you spot some of the park's resident fauna, including guanaco, puma, South Andean deer and abundant birdlife. Whatever activities you choose you'll enjoy three delicious meals per day, and can even finish each day with a Yoga stretching session! After a final breakfast in EcoCamp you'll wave goodbye to your new friends and head back to your departure airport for your onward connection. More time? Speak to a Chimu Adventures advisor for ideas on how to extend your trip or adjust this itinerary. Four nights in an EcoCamp Patagonia 'standard' dome. Upgrades to superior or suite domes are available for a small additional cost. Contact Chimu Adventures now for more information. Nature excursions and activities with a professional, English-speaking guide. Park fees for Cueva del Milodon and Torres del Paine National Park are included. Three delicious, freshly-prepared meals per day while at EcoCamp. All ground transport indicated to/from Calafate, Punta Arenas or Puerto Natales.